The 17th century Victoria Bowling Green Inn is one of Shevington's oldest buildings and whilst no longer trading under that name is still a licensed premises and is the home of the Conservative Club. 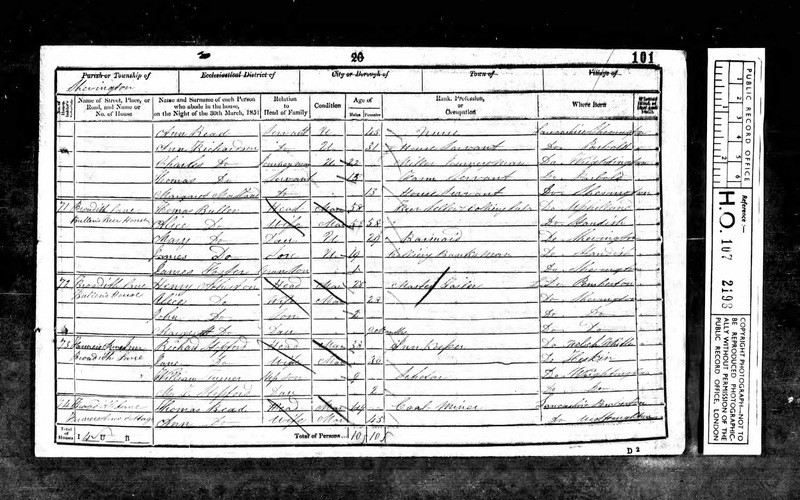 First reference to the Inn I have found is on the 1851 census when a Thomas Bullen was shown as a "beer seller and colliery lab"; at that time the Inn is referred to as "Bullen's Beer House". 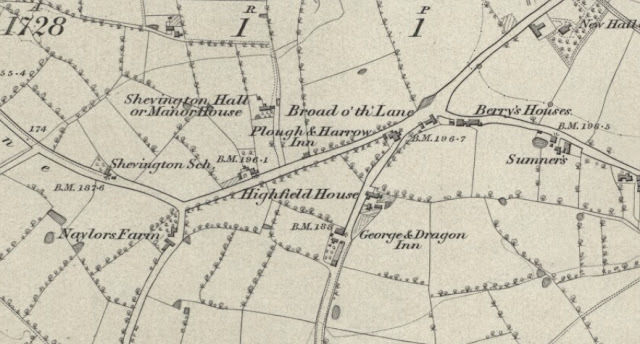 The Inn is not immediate obvious on the 1845 map below but is the property below the bench mark (B.M. 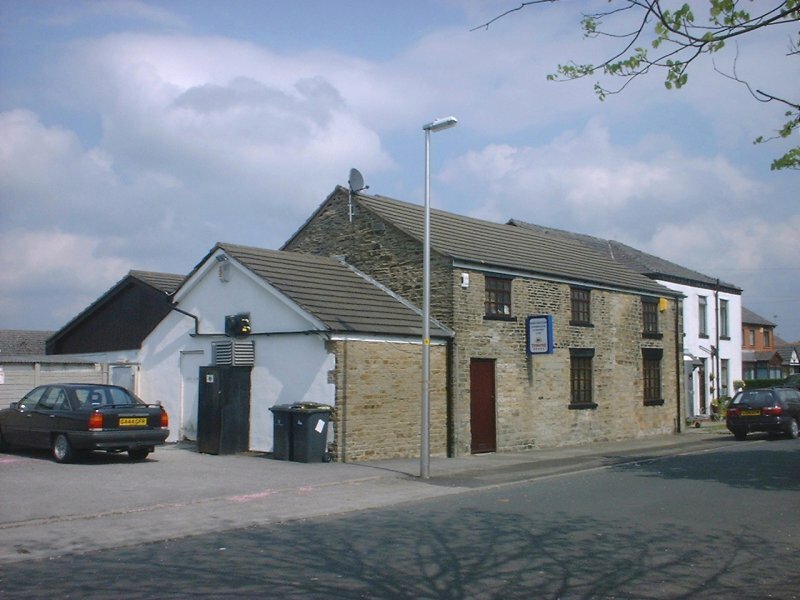 196-1) and was either the Highfield House farm house or one of the farm labourer's cottages. 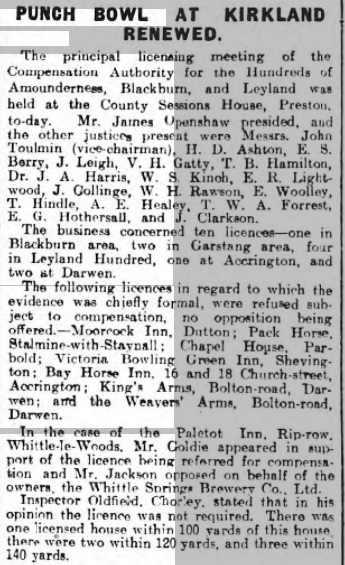 Listed landlords at the Inn were Thomas Bullen (1851), Thomas Park (1861), Alice Hilton (1871), Peter Richardson (1876), Nicholas Hailwood (1881), Peter Cross (1888), Samuel Brooks (1891), William Ellison (1901) and William Gore (1905-11). 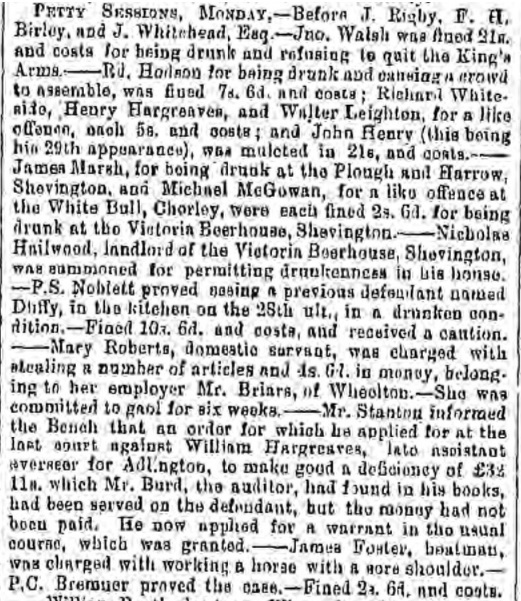 The `Victoria Inn' was for sale by auction in 1883, as `a freehold dwelling used as a beer house'. 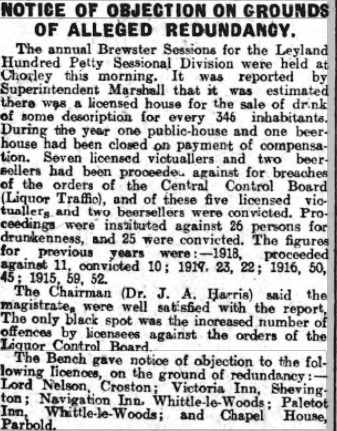 The only bid was of £300, and the property was withdrawn. 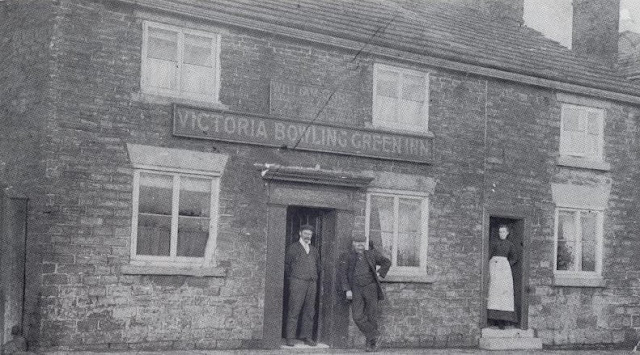 First reference to the name Victoria Bowling Green Inn was on the 1911 census when William Gore was the landlord so it is possible that a bowling green was only added in the early 1900s. 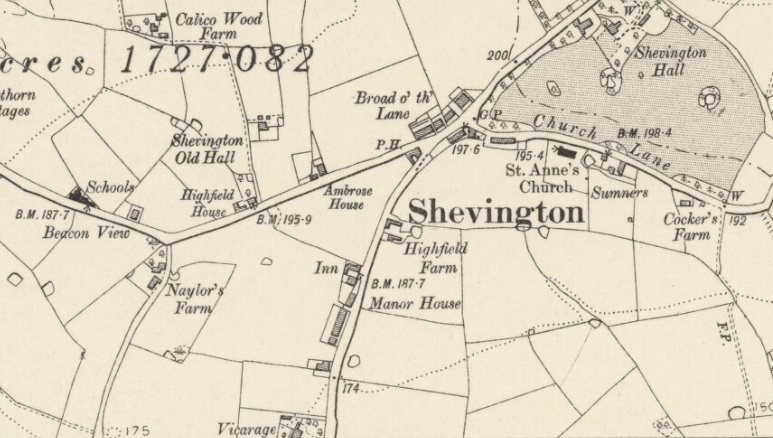 This following excerpt from "A Shevington Boyhood" by Maurice Allen makes reference to the Inn in the early 1900s. 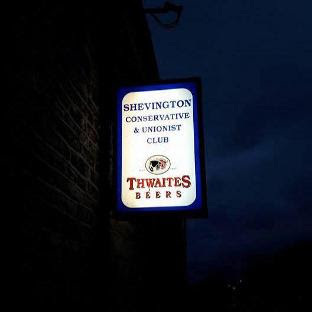 "The social life of Shevington at the turn of the century was no doubt, centred on the three alehouses in the village, the 'Plough and Harrow' in Broad o'th' Dane, the 'Victoria Inn' in Miles Lane, and the 'George and Dragon' in Gathurst Lane. You could apparently get a drink at almost any time from 6.00 a.m. each day. 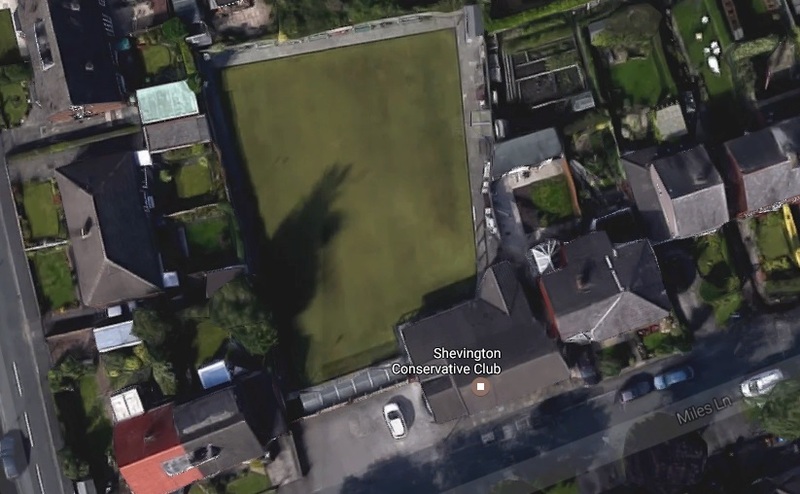 The Victoria and the George and Dragon each had a bowling green which would help to pass the summer evenings away pleasantly, Dominoes and a Ring Board, and Shove Ha’penny the winter evenings. The ladies’ evenings were spent, if they were not patching or darning, either knitting, crocheting or doing embroidery." 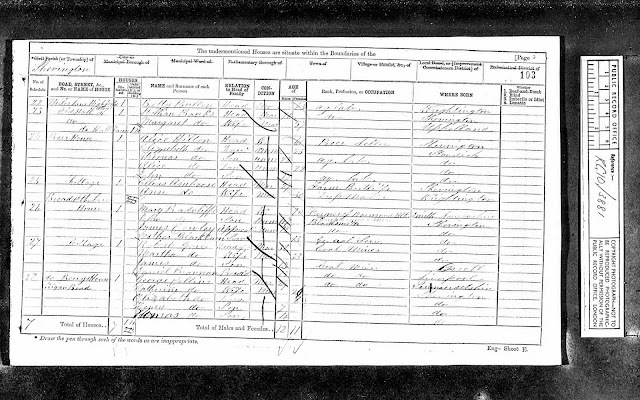 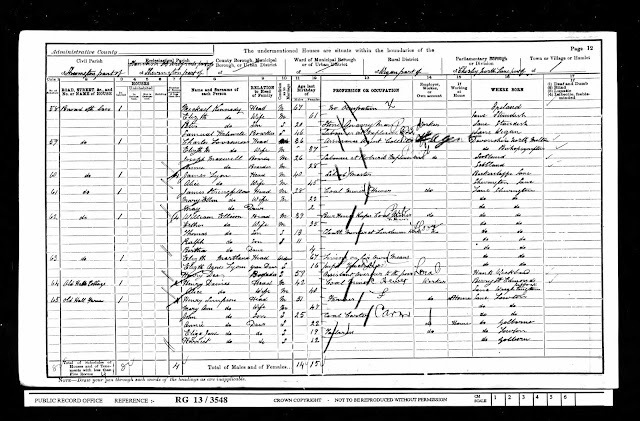 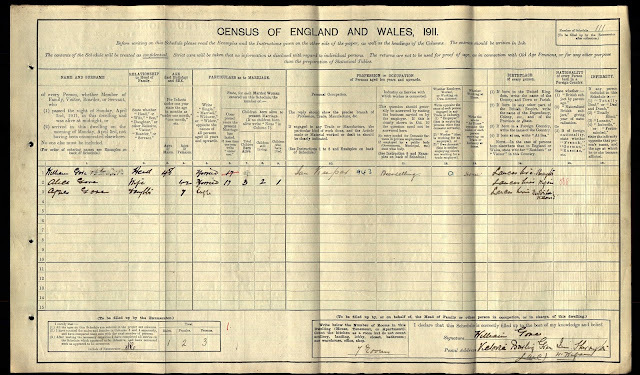 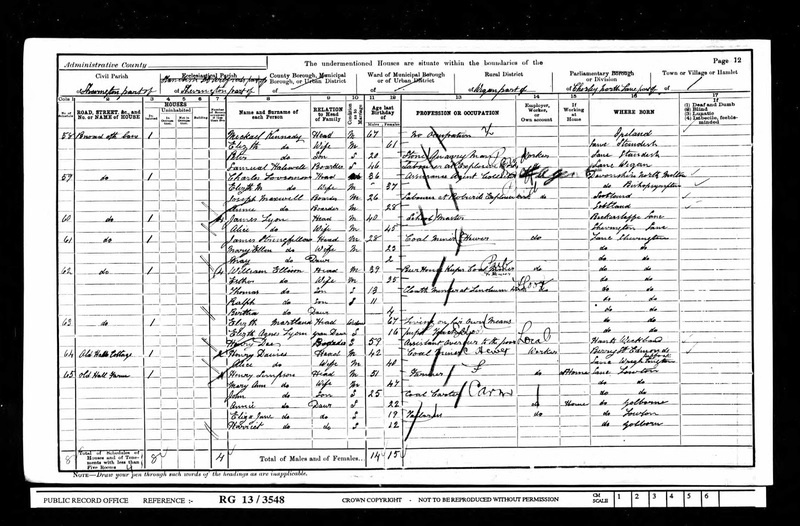 On the 1851 census third down the list is Charles Richardson. 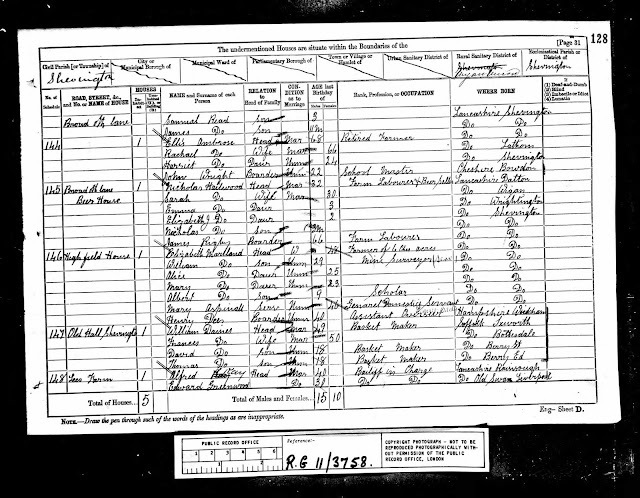 He was my third times Great Grandfather. 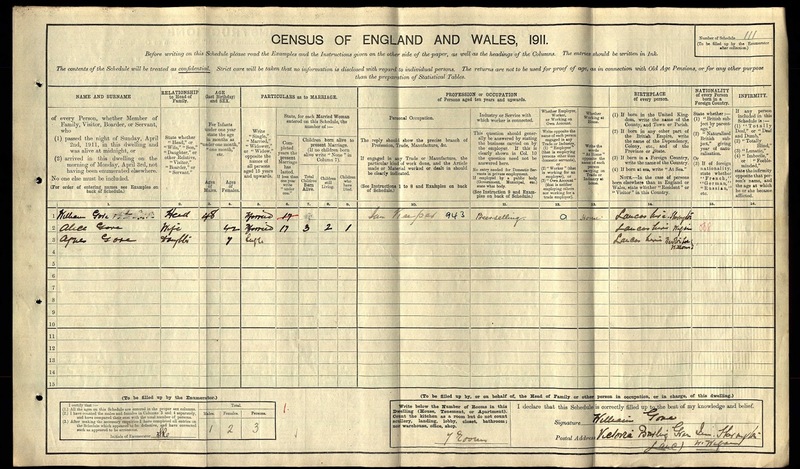 His mother, Mary Richardson, owned Richardson's Farm, in what was then called Appley Row, (a row of farms at the end of Fairy Glen), now called Finch Lane. The farm is still called Richardson's farm to this day. 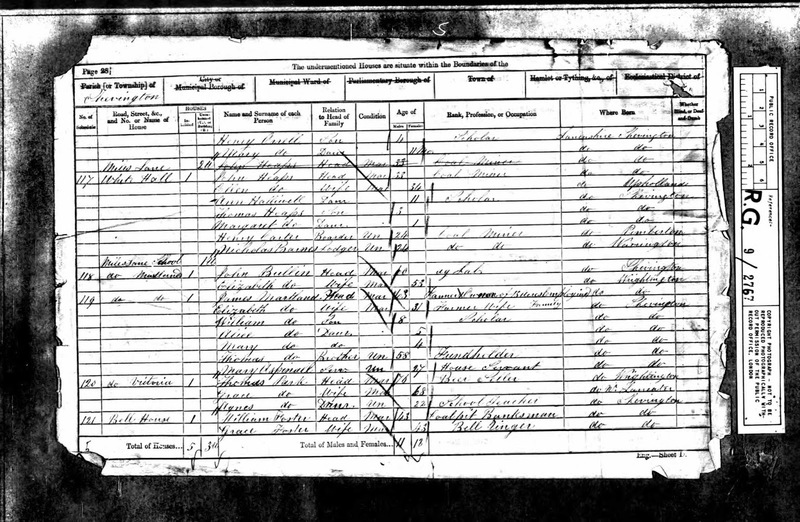 Charles was working at this point at his Uncles flour mill, (Finch Mill in the Nook, which at this time was at the end of Broad O'th Lane), as a journeyman. 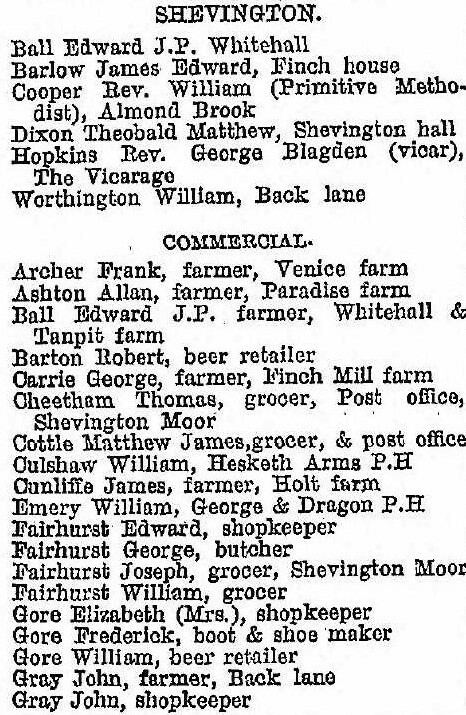 In other words a flour seller/deliverer for the mill at Finch Mill House. Charles ended up with his own farm at Martland Mill Lane, Stone House Farm. The farm buildings survived till the early 1960s and stood where the petrol station is on Scott Lane, Marsh Green. 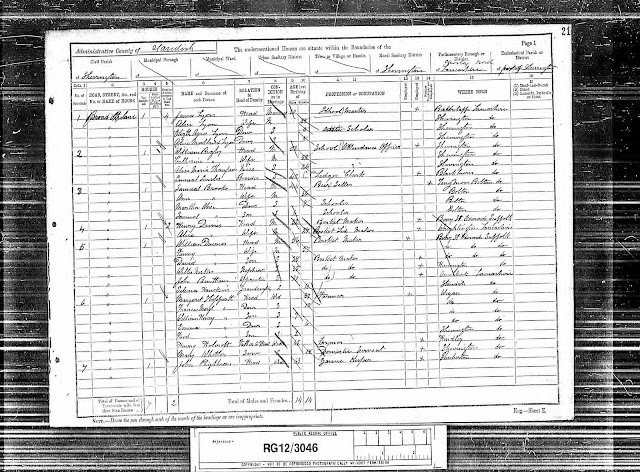 H. Lancaster. 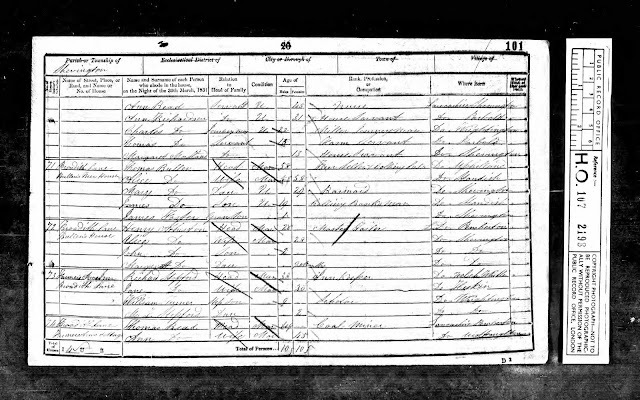 I for got to mention if you go back a page on the 1851 census you will see Peter Richardson age 3, who went on to become landlord of The Victoria, he was Charles's much younger cousin.